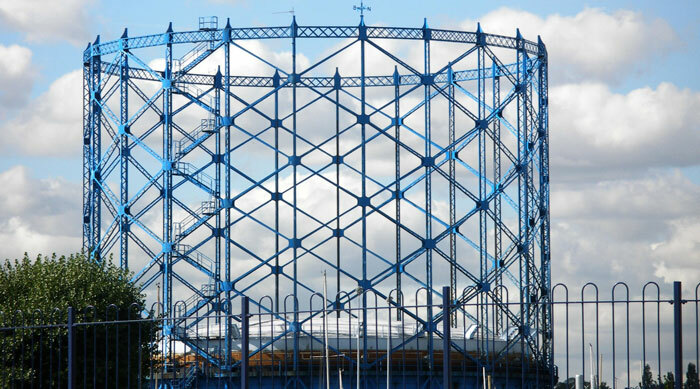 Why do consented gas storage projects still struggle to get financed? As the UK relies increasingly on imported natural gas, the case becomes stronger for the government to up the country’s gas storage capacity. Halite Energy is poised to hear whether its latest gas storage plans will get the government greenlight – but consent is no guarantee that the plans will move forward, despite the strong argument that it is sorely needed. Gas storage developers are quick to point out that the UK now depends on gas from fields in the North and Irish Sea for around 40 per cent of its gas supply, but production from these fields is in decline, pushing the UK to import more liquefied natural gas (LNG) from abroad. National Grid Gas predicts that by 2025, up to 80 per cent of the UK’s gas needs will be met by gas imports. So why, when the need is so great, are there so many gas storage projects which have received consent still unable to secure financial backing? Stag Energy’s Gateway gas storage scheme in the Irish Sea is a case in point. The project received consent back in 2008 from then energy secretary Ed Miliband and was due to be up and running last year. When completed it would have a working gas storage capacity of 1.52 billion standard cubic metres, contributing nearly 30 per cent to the current UK gas storage capacity. However it has, so far, been unable to get off the ground. Eni Gas and Power’s Deborah project has faced a similar fate. What hope then for energy firm Halite which is currently awaiting a decision by the Department of Energy and Climate Change (Decc) on whether to grant consent to the 900 million cubic metre Preesall gas storage project in Lancashire? The development has faced a 2-year battle to gain consent following its initial refusal by the government in April 2013. Foster believes the problem is that Government says the market should determine the availability of gas storage, rather than stepping in to incentivise gas storage investement. “We think the recent decision by the Valuation Office to double the business rates of gas storage facilities, again, is acting counter to what the UK government says it would like to achieve as a strategic objective – having a secure supply of energy,” he adds. Existing projects are also suffering. SSE, which is responsible for the Hornsea and Aldbrough gas storage facilities, argues that gas storage operators are faced with low operating returns because of increasing costs as the Valuation Office Agency has increased business rates for most gas storage facilities in Britain. In March, SSE was forced to suspend a third of the natural gas withdrawal capacity at Hornsea due to “unfavourable market returns”. According to Energy UK, the UK has approximately 4 billion cubic metres of storage capacity, delivering a quarter of national gas demand at peak times. This is considerably less than other European countries. The UK’s largest depleted gas field, Rough, operated by Centrica Storage, will see its capacity cut sharply for six months from a maximum of 41.1 TWh to between 29 and 32 TWh (29 per cent less than current levels). And it wouldn’t be the first time. In 2013, gas prices in the UK surged to a record high of 150 pence a therman as an interconnector failure exacerbated already stretched supplies at Rough. This sudden spike sparked a fresh debate on whether the UK has enough storage capacity. At the time, former energy secretary Ed Davey insisted gas storage capacity in the UK was “not a concern” because of the diversity of supply to the country. Ofgem disagreed saying in a report that “low levels of gas storage could result in GB consumers being more disproportionately exposed” to volatility in market price movements. A string of relatively mild winters has left little need for Government to revisit its priorities. But the industry is clear: in order for new projects to gain consent, for consented projects to receive financial backing, and existing projects to be protected from market volatility, the government needs to change the way gas storage is delivered. “If, in tackling the trilemma, the government believes that there is a strategic imperative to maintain security of supply – both price security and physical security – they need to review the whole basis upon which gas storage is delivered,” Foster suggests.